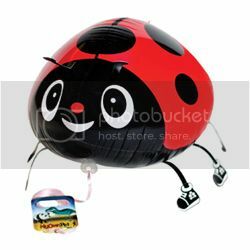 Buy MyOwnPet Balloons to Help Disabled Kids in the U.S.
MyOwnPet Balloons captures the imagination of the young and young at heart with their wonderful collection of inflatable pets. They have created the perfect playmates using high-quality materials, welded seams and special inflation valves that will surely bring out the smile in everyone. Canines for Disabled Kids (CDK) is a non-profit organization that connects children with disabilities to canine-assistance programs and resources. CDK helps families with disabled children obtain service dogs through education, financial aid and advocacy and makes families aware that these resources exist. 1. We can purchase MyOwnPet balloons. For every MyOwnPet balloon purchased here, $5 will go directly to help Canines for Disabled Kids. Visit http://www.caninesfordkids.org for additional details. 2. We can also donate directly to Canines for Disabled Kids here. 3. We can spread the word and get involved along with friends and family. This entry was posted in Canines for Disabled Kids, MyOwnPet Balloons. Bookmark the permalink. ← My Eyeglasses Are My Best Friend!